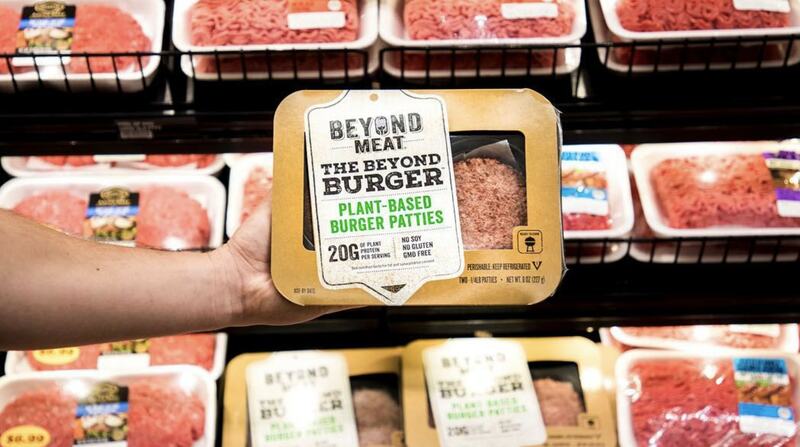 Plant-based startup Beyond Meat has revealed that it will be ramping up production by 200 percent in a bid to meet growing demand. The company's flagship product - the Beyond Burger - is outselling meat burgers in some mainstream stores in California, as demand for the product grows. Company Founder and CEO Ethan Brown told Plant Based News that the startup is ahead of its sales targets. It will be executing major global expansion plans this Summer, as the burger rolls out to 50 countries including the UK. Beyond Meat announced it would be doubling sales in an open letter addressed to its customers. Brown acknowledged that many people have been unable to get their hands on the product - one Instagram user recently told the company: "'I'm so sad you’re sold out in my area! I'm becoming a grocery store stalker!" Brown put the stock issues down to unprecedented demand, as well as mechanical failure. He pledged to meet all orders by July or earlier, by commissioning additional production facilities. He added that production will increase by 200 percent over the next four weeks, saying: "Providing you with your full complement of Beyond Meat products is our highest priority." Brown revealed the scale of the demand in a recent interview with Plant Based News Founder Klaus Mitchell, saying that a major part of the brand's strategy was to display the product in the meat aisle in a bid to put it in front of mainstream consumers, rather than hidden away in a 'free from' section. The gamble appears to have paid off. "When we got into the meat case, we thought 'let's see if we can really represent plant-based meat, let's see if we can not get thrown out' - things like that," he said. "Now in Southern California - in one of the largest conventional retailers in the country - in the Southern California district we are now the number one selling patty in the meat case...that's by unit not by weight yet. To have that level of interest in the product, in the meat case itself, this soon was really exciting."